A good interior design is as important for a cafe, restaurant or bar as good food, drinks and customer service. Designing an amazing, functional yet stylish bar is anything but simple. There is a whole lot of stuff that you need to consider and manage– What will be your bar’s theme? How can you optimize the space for both your customers and staff? How and where will your bar stock be arranged? etc. And all this can be boggling and extremely costly, which may not be feasible for everyone. 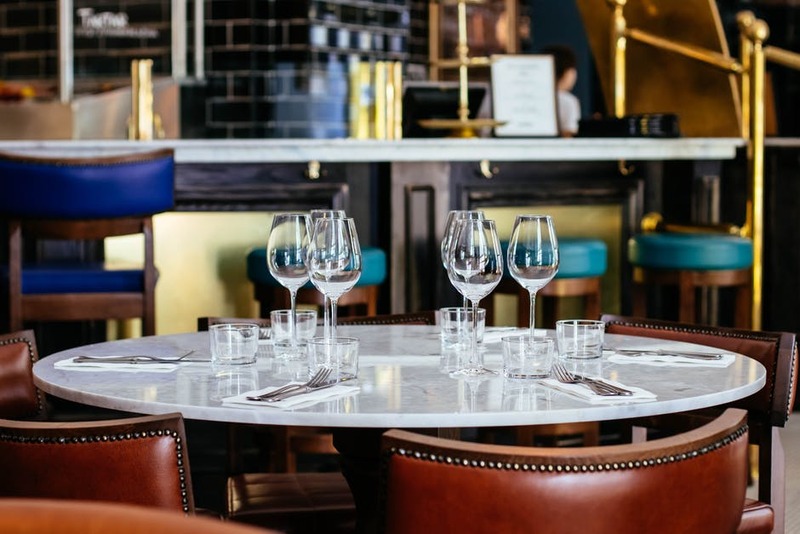 However, there are some handy tips that we’ve collated to help anyone who is simply looking to add some charm to their old bar and give it a much needed makeover. A bar is essentially a place where people want to relax, unwind, and chill. It’s obvious that the more comfortable your clients get, the more business they’ll bring in. So, what is going to bring in the crowd apart from what you have to offer? Obviously, the ambience; so, if you want to set up a new counter or revamp your old one, we are here to help you imbibe the trendiest ideas and get your space a makeover, so that you bar becomes your customers favorite destination. 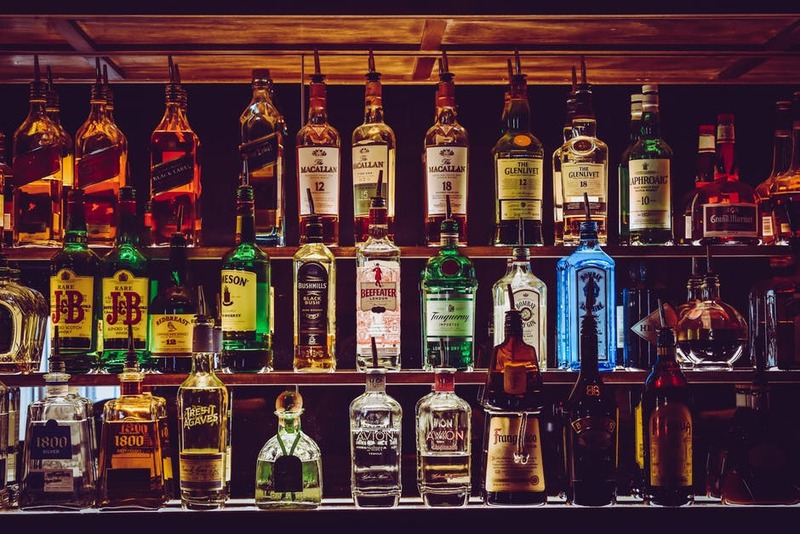 Here we’ve listed 5 of the easiest ways to make your old bar shine anew and make your customers jaws drop in amazement. Your customer does not just enter to buy a drink; he comes to relax, brood, have fun, spend some time alone, etc. All of these things indicate that he is going to be there for some time and if your seating arrangement is not comfortable, he might never want to come back. Seating, apart from comfort is also an excellent way to add color and the right amount of chutzpah to your décor. Bar stools with bright cushions, or high chairs with funky legs are a design highlight and can really set the tone of your overall theme. This is one aspect of interior design that can really make or break the ambience of your space. 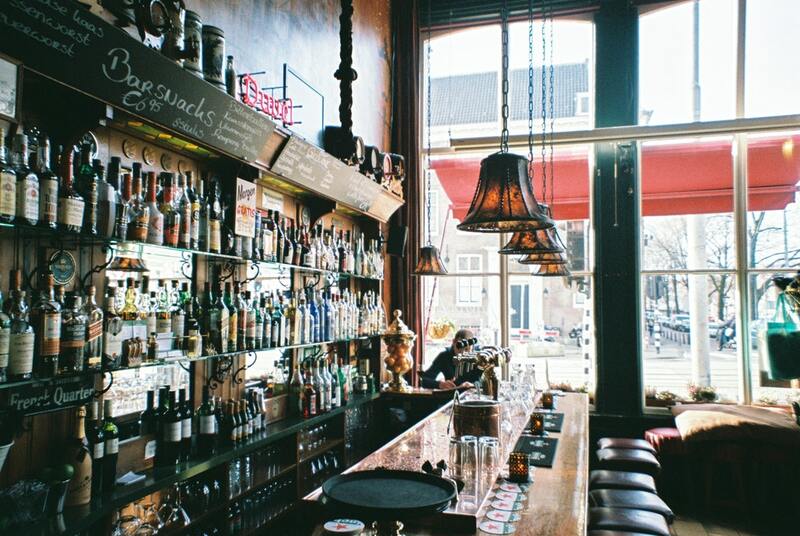 Nothing works better than strategically placed lighting that gives a bar its characteristic individuality. 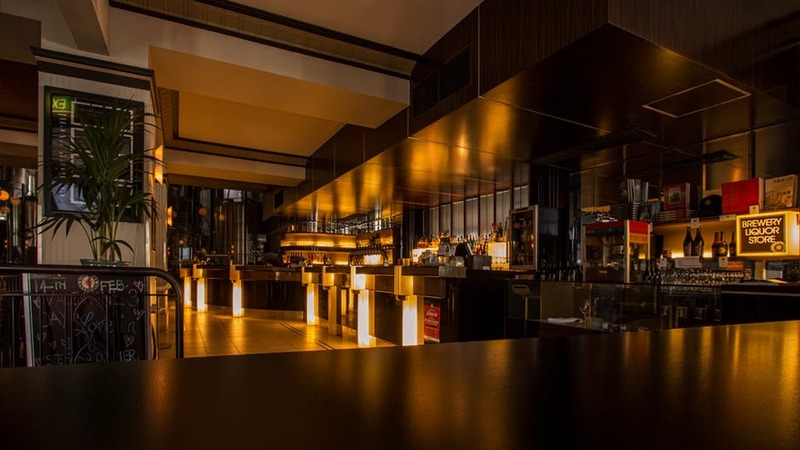 So, whether you use chandelier-style lights, beam lights, techie grid-like lighting, round pendant, etc, your carefully chosen lighting adds to the overall ultra-modern trendy feel of your bar design. It’s the oldest marketing trick in the book, you play to your strengths and line your best brands in a way that entice customers to hook the bait and also know what options they have to choose from. You can also showcase the bottles with a little bit of strategic backlighting that enhances the display and complements the other lightings of the place. If you’re thinking of renovating the bar area completely then you must choose materials that not only reflect your priorities but also maxes on durability and easy maintenance. Stain-resistant, heat-resistant, nonporous counter tops are some of the most popular and viable choices as they not only lend sophistication and style but are also functional and can be customized for space availability. 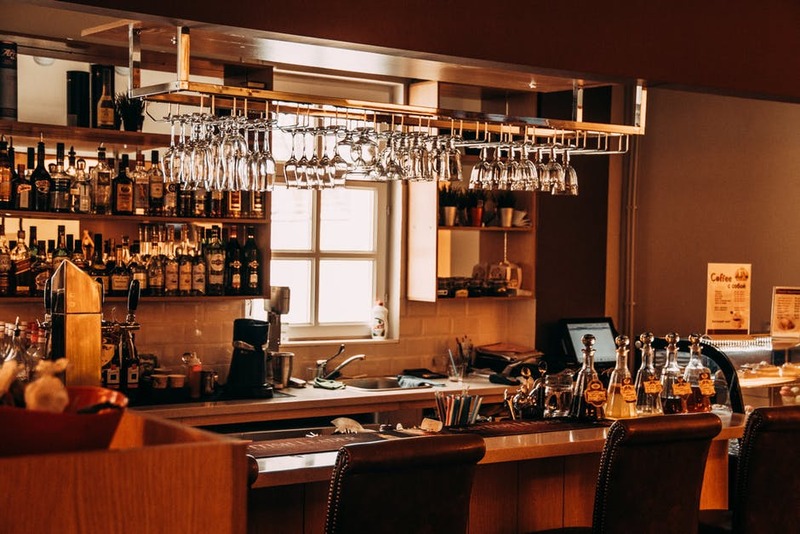 If you’re not too keen on spending a lot of money to give your bar a makeover, intelligent planning and furniture rearrangement plays a very important role to get a well-designed, sophisticated and a modern contemporary bar look. Most customers like the bar counter at a distance from the food area; so planning the layout keeping customer psyche in mind will help ease your customer traffic and make them feel more comfortable and at peace. You can also add quirky paraphernalia, abstract and impressionist paintings, or showcase some photography skills on the walls adorning your bar to give it a unique, modern and esoteric feel. So, you don’t have to go the long haul, smart manipulation of furniture, light effects, seating and wonderful ceiling and floor treatment can up your bar’s value quotient and set cash registers ringing. 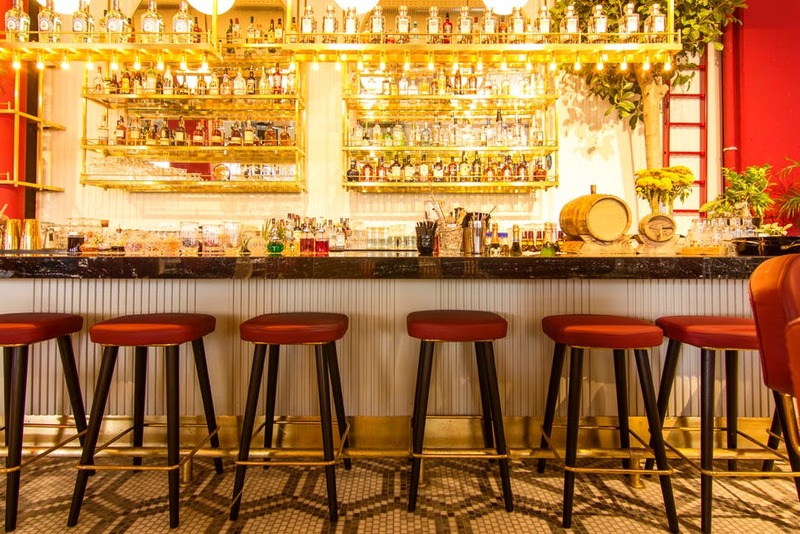 If you have an idea or a theme in mind, or simply want to hand over your bar space interior designing to an expert, meet with us at www.sprinteriors.com and we’ll revamp it as per your budget and target population.